Athletic style starts with the 2018 Nissan 370Z in Albuquerque. This year, the two-door sports car receives a variety of notable enhancements, including a revised rear end, new 19-inch wheels and a brand-new high-performance clutch for manual-equipped models. Nissan has also added a Heritage Edition to the lineup, which adds unique graphics to the base trim with the option of yellow or black exterior paint. The base Nismo trim has been discontinued, leaving buyers with the option of just the Nismo Tech model. Discover all that the new car has to offer by continuing to read our 2018 Nissan 370Z review below. 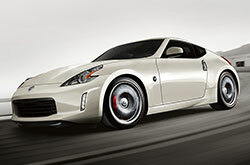 Available as a hatchback coupe or soft-top convertible, the new 370Z has something for everyone. The coupe is offered in base, Sport, Sport Tech, Touring and Nismo Tech trims, while the convertible comes in base, Touring and Touring Sport grades. Standard features on the entry-level base trim include automatic headlights, summer performance tires, climate control, Bluetooth and a six-speaker sound system. 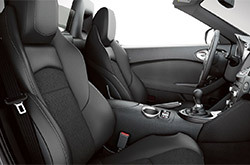 The Sport gets improved brakes, 19-inch wheels, heated mirrors and a Bose-branded stereo system. 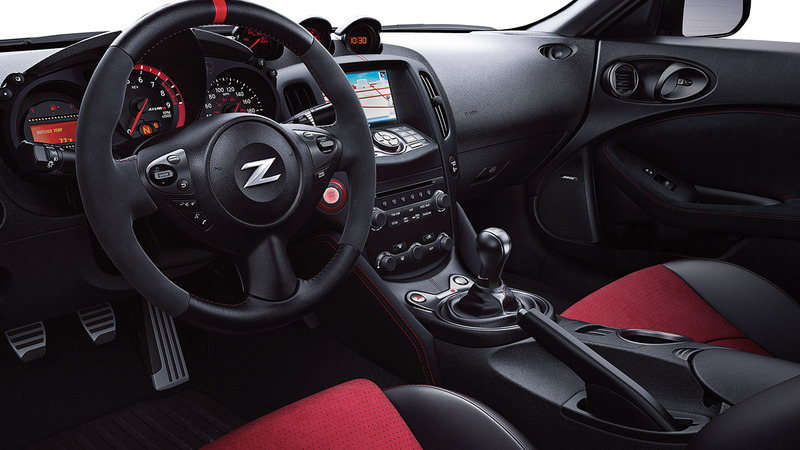 The Nismo Tech is the most track-ready model of the bunch and comes with things like a sport-tuned suspension, Recaro sports seats, a 7-inch touchscreen and navigation, as noted by 2018 Nissan 370Z reviews. Come test drive the 2018 Nissan 370Z in Albuquerque and try out it's peppy powerplant: a 3.7-liter V6 that puts out a truly impressive 332 horsepower and 270 pound-feet of torque. 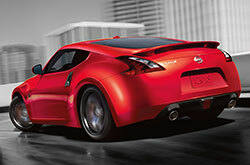 Nismo Tech trims get a more powerful version of the V6, which ups horsepower to 350 and pound-feet to 276. A six-speed manual and seven-speed automatic are both offered. Every model comes with antilock brakes, side airbags, seatbelt pretensioners, and stability and traction control for improved handling. 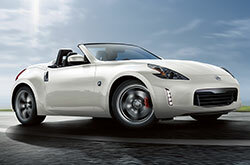 Buyers who opt for the Roadster will get side airbags that extend upward in the event of a crash. A sharp and sporty vehicle that is sure to turn heads, the 2018 370Z is definitely worth considering as your next new car in Albuquerque. Come take this beauty for a test drive today at Reliable Nissan!